In module 1, you will understand more why and how the singing bowl helps on treating different physical and emotional situations. 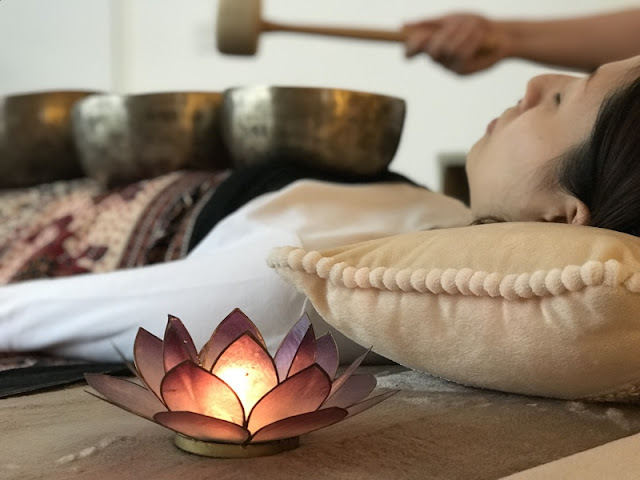 With the knowledgeable and experienced background of body anatomy and Tibetan medicines, Cesar is capable in delivering both the theoretical and practical knowledge of sound healing, that helps you further understand the wisdom behind singing bowl sound healing. 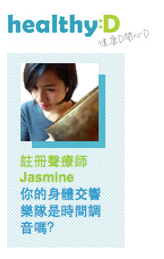 * Registration is complete upon successful bank deposit of $3,000, no refund can be made unless the workshop is cancelled by Sound Therapy Hong Kong. • Diagnosis according to Visual Examination. • Diagnosis according to Touch. • Diagnosis according to Integrative questionnaire. 2. Introduction to Energy Medicine. • Relation between energy and emotions. v. Lifestyle recommendation chart: Taylor-made according to the personal needs of each client. 3. Brain stimulation through music therapy and monaural beats. 6. Practical exercises at home. Pre-requisite: Must complete "Module 1" first. * Registration is complete upon successful bank deposit of $3,000, no refund can be made unless the workshop is cancelled. César Tejedor, a bestselling author in the field of Spa & Wellness, is the creator of VibraHealing, Physical Therapist and expert on traditional medicines, Spa trainer and consultant, founder of Massage Around the World and Ambassador for Global Wellness Day in Spain. Passionate about holistic wellness, he has spent the last 15 years of his life traveling around the world exploring traditional medicines and massage with the aim of implementing ancient wisdom into modern lifestyle. - Physiotherapy University Degree UAX Madrid. 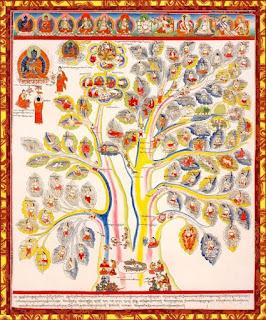 - Studied Tibetan Medicine with some of the best Tibetan doctors in the world connected with Men-Tsee-Khan University, Little Tibet, Dharamsala. - Sound Healing from different Lamas, Yogis, and musicians: Tibet, India, Nepal. - Ayurveda College, Kannur India. - Thai Massage at Wat Po & Private Masters, Thailand. - MBA at CEF, Madrid. The part I feel most benefited and intrigued from the workshop would be how Cesar integrates his background as a physical therapist and understanding in Tibetan medicine, and with the use of singing bowls develops a more around holistic treatment for the wellbeing of his clients. (It's not a specific thing I pick up from class. It's more about his enthusiasm in combining what he has learned from his years of working and travelling and learning from different masters around the globe. And it is all done in the interests of his clients and promoting the concept of "Wellbeing" in the health industry, not just the time out spa but also the medical field. Although we were not able to go further in depth on how we should administer the appropriate treatments corresponding to various diagnosis based on the clients' constitutions, I certainly feel Cesar has delivered the course content thoroughly and effectively, given the time factor and different student background either in western or traditional Chinese medicine, or in general. I also appreciate Cesar's openness and willingness to share his thoughts and experiences in class. And I do look forward to our next level of learning. Through this first course I learnt various useful techniques supported by applicable theory to understand and deliver a Sound Therapy relaxing session.